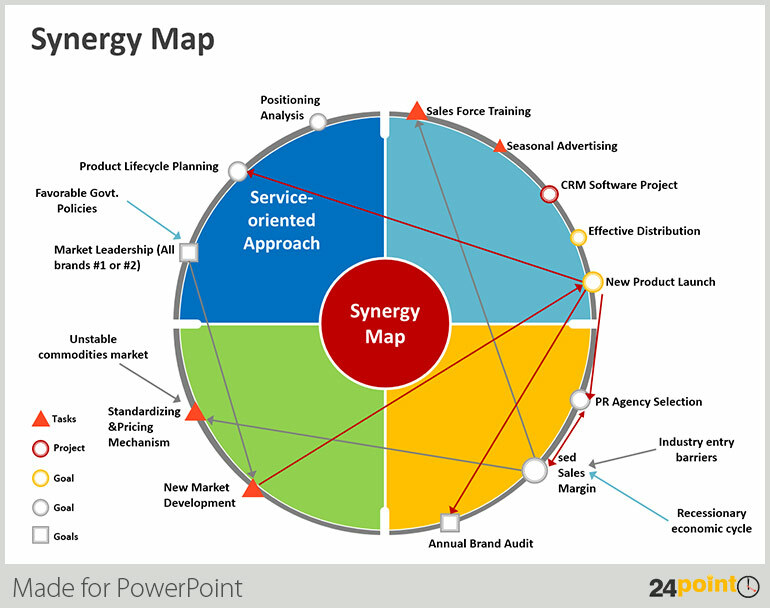 A Synergy Map is an extremely useful way to position project strategy or prioritize tasks at hand. In a single snapshot, this diagram can reveal the status of multiple projects and also the significance of each project, activities that affect each project (beneficially or adversely), level of completion of various projects, etc. It can, therefore, help prioritize and focus on projects based on their synergistic traits. 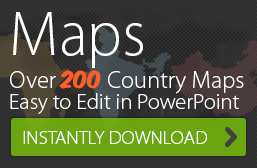 The Synergy Map is the ideal PowerPoint tool to track multiple projects and present the relationships between them. 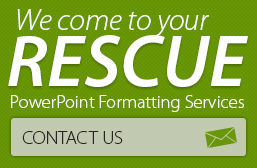 Download this easily customizable PowerPoint tool and present multiple projects in a clear, composite manner.